No words can define Benjamin's thirst for the unknown... a tireless researcher of what goes beyond the expected a pillar of HAPE collective both in #Cuba and worldwide. Uno dei motori veri e proprio di HAPE, Dj Buosis, coltiva la passione per la musica fin da giovane età: ereditando la cultura disco-vinilica da suo padre, mantiene il proprio spirito vivo ricercando suoni da ogni parte del pianeta, e restituendoli al suo pubblico sotto forma di una collana di perle musicali raffinate nel corso dei suoi viaggi culturali. When talking about electronic music in Cuba, he is a mandatory reference. Born and raised in Santiago de Cuba, the birthplace of traditional Cuban music, his career began in the hip hop movement. Not only has Jïgue established himself as a recognized artist in the secene, but he is also the mastermind behind guámpara Music, the first independent music label of Urban Music in Cuba. Cuban percussionist El Menor collaborates with DJ Jïgue… actually they are one! In his inspired set, he drives you to the core of Cuban rumba, tumba francesa, and much more… a pleasure for the ears! 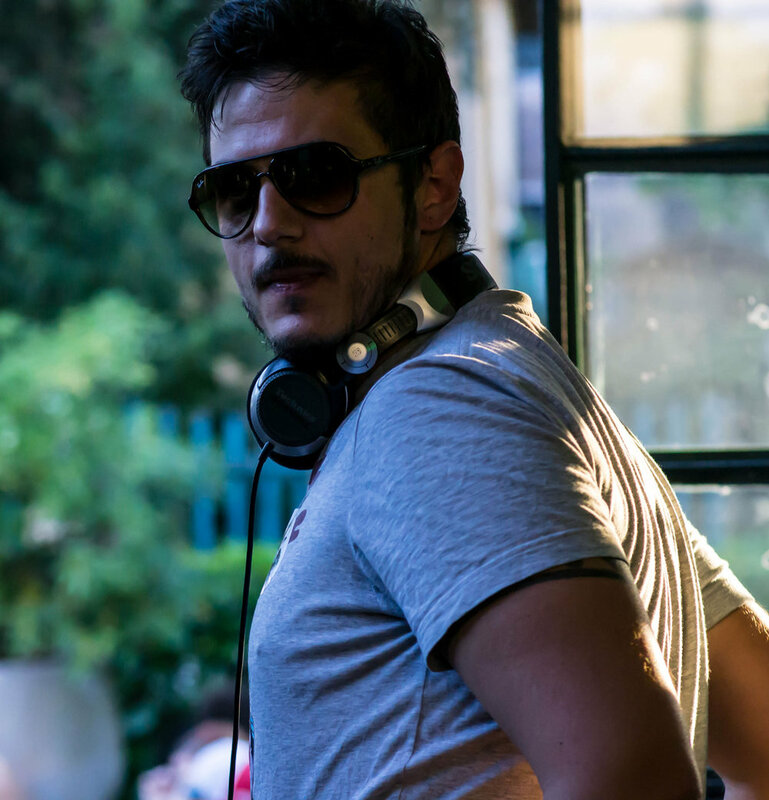 Dj Zwalla is an Italian globetrotter, dj, musician and respected tastemaker. 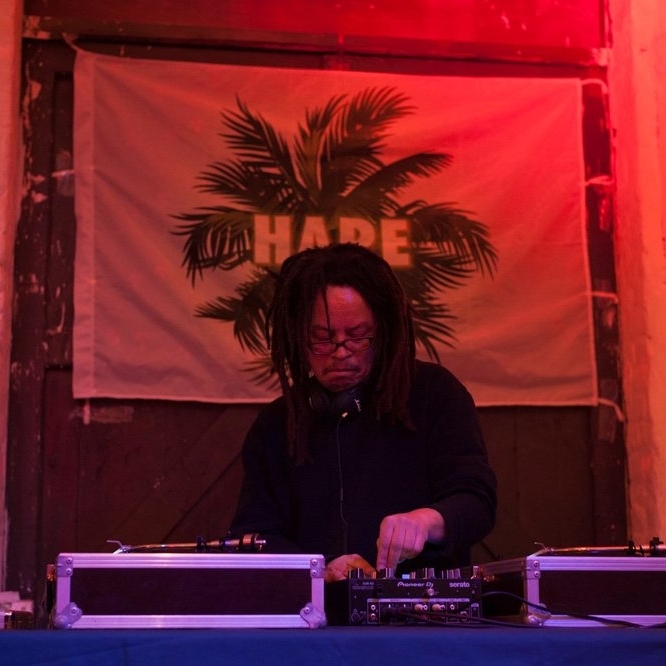 Based in Belgium, Dj of the HAPE collective since 2016, he has been partecipating in projects that break cultural borders in Europe and Africa. Making it HAPEn since years in Belgium with his gigs during events and festivals (Couleur Café - official - LaSemo - Les Musicales de Bouillon) he always looks forward to sharing his passion through his amazing selection of vinyl records. Ascoltatore vorace e onnivoro, appassionato di clubbing U.K., ritmi minoritari, dance music periferiche e jam percussive, Grao spinge selezioni eclettiche e progressiste senza mai perdere di vista il dancefloor. Born in 1990 Francesco Ivone starts his trumpet studies in the late 90’s. In his teens he falls in love with jazz, latin and electronic music this is why later he studies jazz music at “Giuseppe Tartini” Academy and plays many different kind of music with large and small ensembles and artists such as NESJO, MotherFuckHertz, Playa Desnuda, Insium, Giovanni Maier, Francesco Bearzatti etc. Actif sur la scène musicale bruxelloise depuis longtemps, Dj Wait&See mélange sonorités raggae, afrobeat, soul, funk, grace à sa collection de vinyles incroyables! He started to play the trumpet at quite an early age taking private lessons first until he was admitted at the conservatory of music where he his my first level degree in classical trumpet and then entered the course in jazz trumpet. Apart from the bands of the conservatory he has played with several big bands and bands in the north East of italy (tre allegri ragazzi morti, Frankie hi nrg, Tony Hadley, Maceo Parker, Lou Seriol) and has recorded of many of them. François is a drummer, percussionist and percussion teacher. He has been active in several groups and projects in Belgium and beyond, such as Human Sound System and What the Funk. Romain is passionate about African percussion since his childhood. During a trip to Mali, he meets the percussionist Ibrahima Sarr whom he will visit for several years to deepen his technique and knowledge. He currently plays in various musical projects in Brussels: Trovadotres Flamenco Jazz, Sysmo (instant composition percussion ensemble), Na dioubé percussion (traditional African music group), Le Ballet Malou (African dance ballet). "Non solo musicista! Ma artista." Born in Kaolack, and based in Venice, the Senegalese percussionist Mafmalaf Diaw came into contact with HAPE on the occasion of the first edition of Venice, and immediately joined the spirit of the collective. Maf ranges from erudite and sophisticated Afro-Latin rhythms to awesome afrobeat. The inclusive character of this musician makes his performances engaging and warm... real tropical nights! 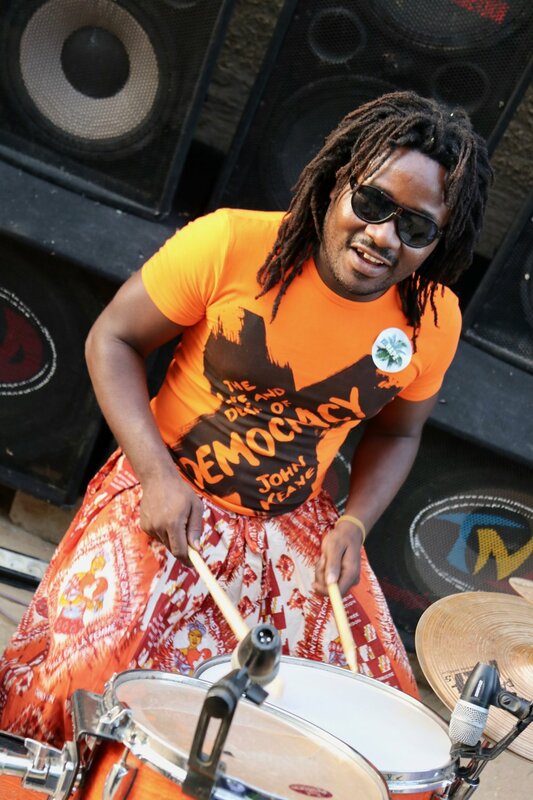 Cameroonian percussionist and singer based in Chad, he is inspired by multiple genres and is guided by the desire to forge, transmit and especially emancipate an identity. 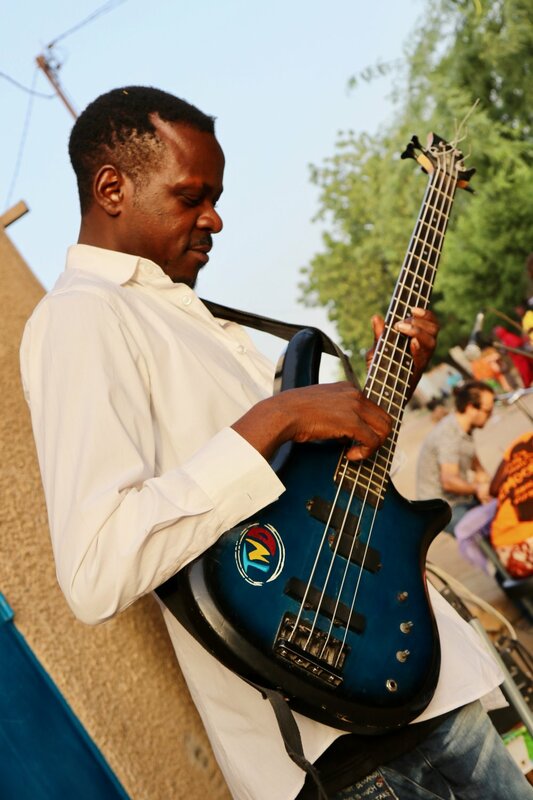 Gari Boy works with the N'Djamena team in the composition and arrangement of the tracks produced by HAPE… and enchant everyone his pretty voice and African rhythms. Multidisciplinary musician, born in Cameroon influenced by African rhythms and the electric groove of music from very different worlds, he masters improvisation thanks to his absolute ear. Give him a bass guitar, a keyboard, a groove box and a Gala (Chadian beer! ), and you are sure his going to make you dance! nowadays an essential artist in the sub-region with his self-made garaya or molo, Idriss praises rhe nomad origins of his people by celebrating his music and heritage. 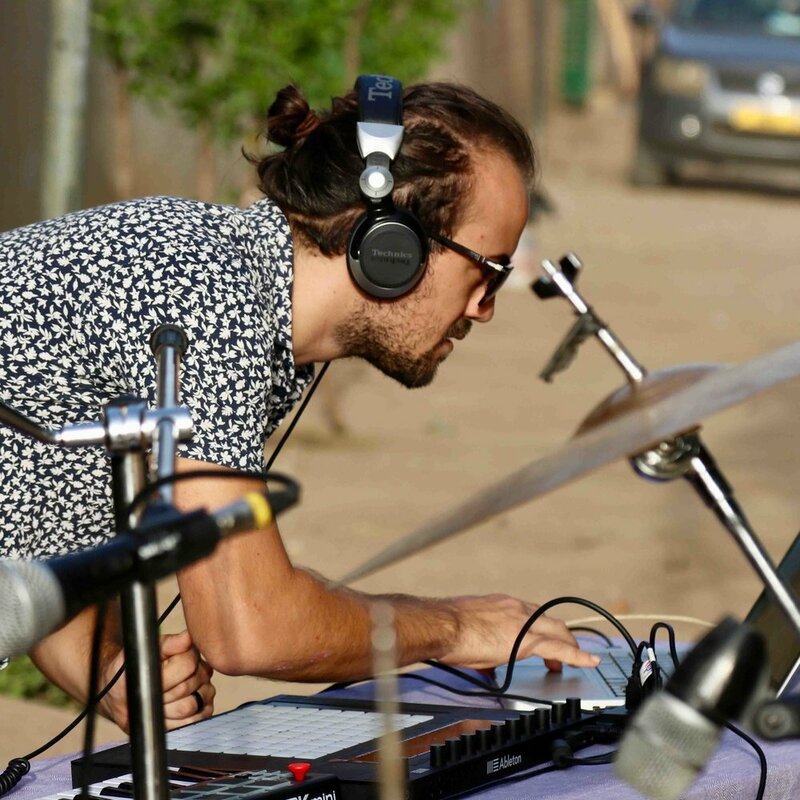 He embodies a dream and a challenge: to cross cultural universes, melting his Sahel sound with electronic beats, giving birth to a new musical experience. Chadian percussionist, his music crosses distant worlds and integrates classical genres in the heart of afros and electronic rhythms. He talks through his djembes and tam-tams, in interminable sets interrupted here and there to say “pas des problèmes". A must. Master fo the trumpet, he grew up eating funk and Felt Kuty, in France, before choosing to work and play around the world. Normally a quiet guy, when he is on stage he gets you higher and higher. He is currently in Chad, coordinating the efforts between local artists and the Collective worldwide..
She is an anthology of traditional music from Southern Chad, and she is the lead voice is a chorus of 8 women that sing at the biggest traditional ceremonies in N’djamena. She works with Abouldaye, at the balafon, providing beats with hands and/or sticks. An enchanting smile welcomes you. Alboulaye makes and plays his own pentatonic wooden marimba (called balafon in Central Africa). Obsessive rhythms, fascinating melodies and never ending solos are his strengths. He joined the Collective in Chad in early 2017, and become a pillar of it.